Blighttown was a real nightmare for those who played Dark Souls on PlayStation 3, due to the huge performance issues found in the area. Those getting Dark Souls Remastered on PlayStation 4 will not have to live through the nightmare again, thankfully. Earlier today, Digital Foundry took a good look at how Blighttown runs in Dark Souls Remastered on PlayStation 4 and PlayStation 4 Pro, confirming it now runs smoothly at 60FPS. 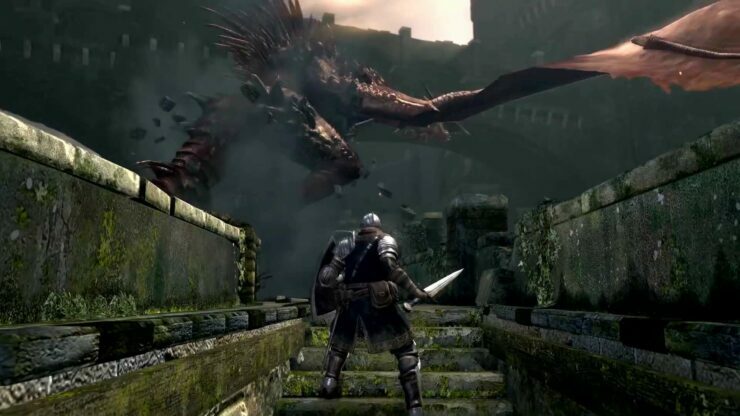 The video also makes a comparison with the Xbox 360 and PC versions of the original Dark Souls. Can it be? The final release on PS4 and PS4 Pro shows this infamous spot now running fluidly at 60fps. Tom gives a complete overview of what made Blighttown such a nightmare to navigate in the original – with comparisons to Xbox 360 and PC. Just yesterday, Game Informer shared more Dark Souls Remastered gameplay footage, showcasing the already mentioned Blighttown. The video doesn’t include any major spoiler, so you can check it out even if never had the chance to play through From Software’s excellent action role-playing game. Dark Souls Remastered launches on PC, PlayStation 4 and Xbox One on May 25th in all regions. The Nintendo Switch version, originally scheduled for May, will release this Summer.